The Garden Club of Teaneck is an established organization whose main purpose is to promote and pursue horticultural interests. The club began in 1932 and continues to have a vibrant membership by welcoming everyone who wants to join join (see our Membership at left). The club meetings are held either in the Rodda Center* or at the Greenhouse†, on the second Thursday of each month, from September through June. Check the Calendar of Events page for the more location. Meetings begin at 7:00 PM followed by the program, usually, a guest speaker who will share his/her enthusiasm, insights and knowledge on a variety of gardening topics; or a gardening workshop. Each presentation is preceded by light refreshments and socializing. Come to a meeting and join fellow gardeners who share your love and interest in this rewarding occupation. 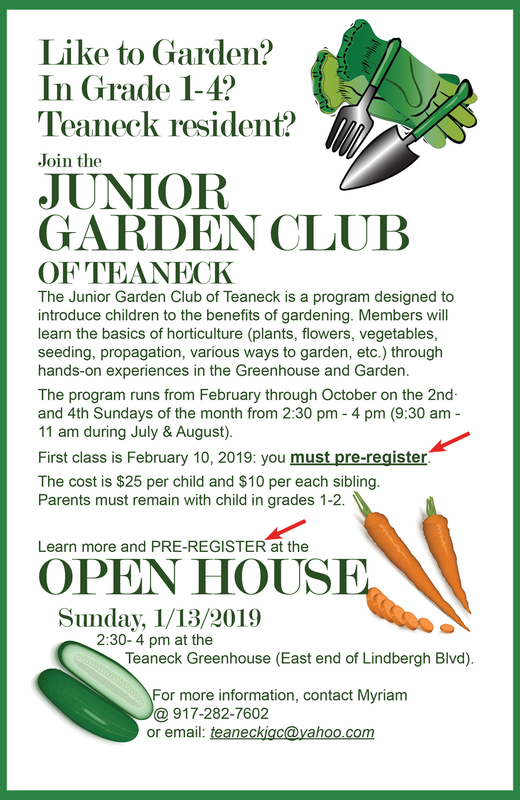 For more information, contact any one of the club officers (for their names, click on Officers at left) via email gardenclubofteaneck@gmail.com or at our postal address at the bottom of the page. We will gladly tell you more about our club and how you can join our community. 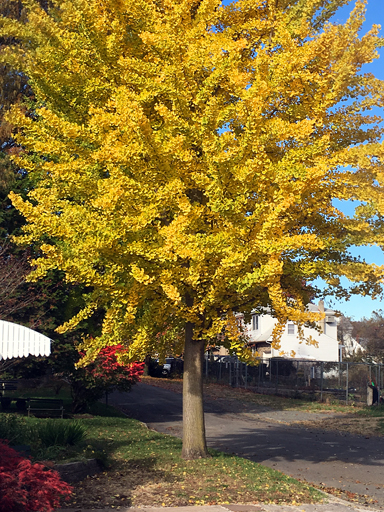 Gingko tree in its autumnal glory, just outside the GCT greenhouse.